Though well-known for its charming landscapes and its citizens’ reputation for friendliness, Auckland also has been identified as one of the amazing capitals of the world. Its wine regions extend more than 1,600km from sub-tropical Northland down to Central Otago, dwelling to the globes' most southerly wineries. 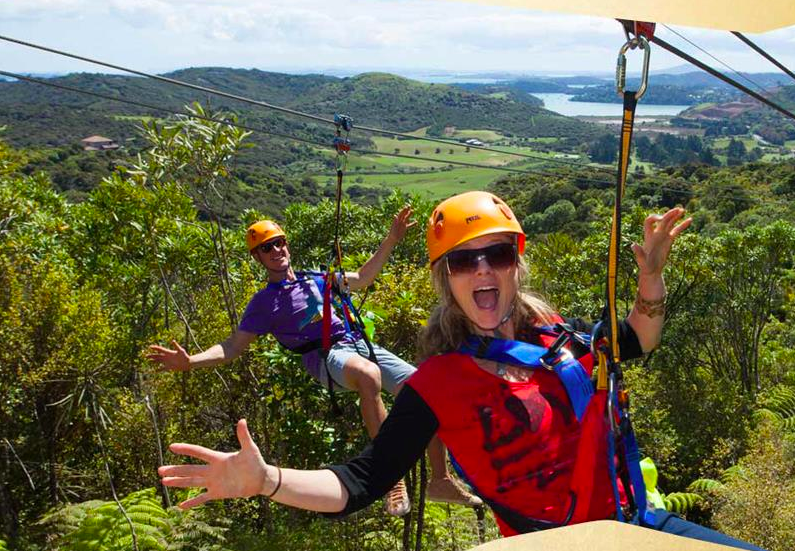 If you are a wine lover + an outdoor adventure seeker than New Zealand is not to be missed! New Zealand literally has it all! 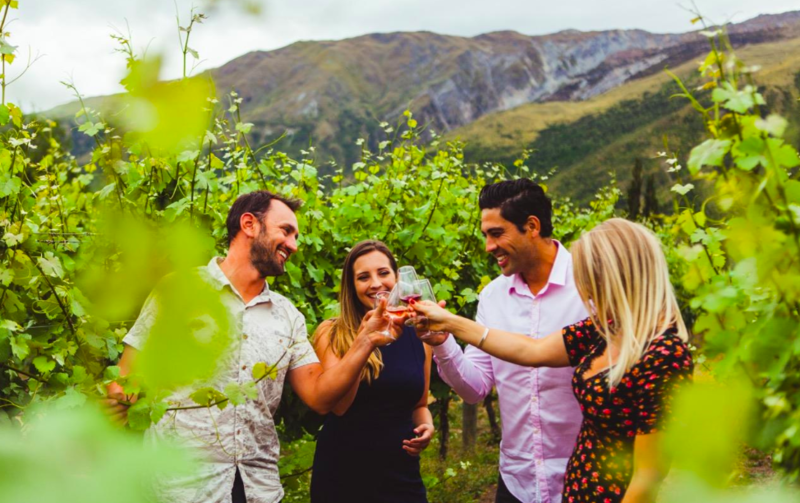 From luxury spa treatments to a helicopter ride over mountain ranges where you will appreciate the beautiful view of the Wakatipu basin to numerous food and wine day trips to leave every foodie content. Any traveler will marvel in exploring some of the globes' most southern wineries - discovering unbelievable wineries and implausible producers. That is why New Zealand landed the #2 spot on Tasting Escapes 2018's Ten Best Tasting Destinations list. Only a 35-minute ferry ride from downtown Auckland lands you on exquisite Waiheke Island. Waiheke is home to a mix of vineyards and olive fields, forest, and coast - also home to many fun cafes and art studios. Spend the day tasting some of New Zealand's best wines while taking in some of the island epic coastlines. 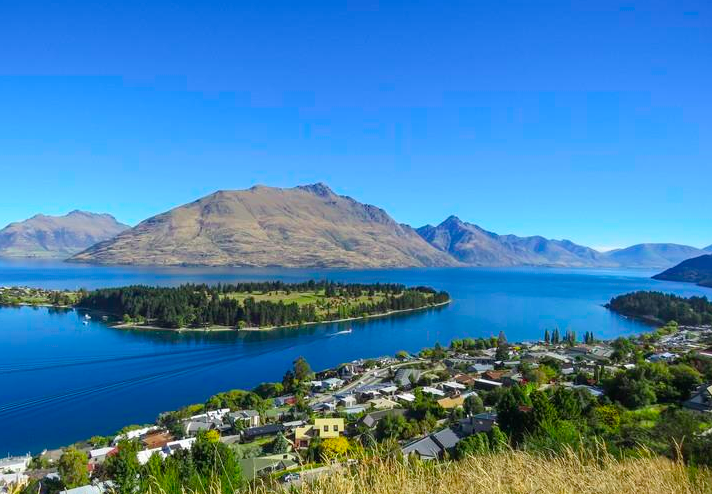 An alpine town hinged at both the foot of a mountain range aptly named The Remarkables and crystal clear Lake Wakatipu, Queenstown is jeweled with epic adventure and relaxation. Enjoy jet boat rides, skiing, river rafting, hiking, and biking, or go bungy jumping where it all began. Top off your days with wine tasting in surrounding vineyards, spa treatments, alfresco dining, and vibrant nightlife. Queenstown, resting between the foot of a mountain range named The Remarkables (rightfully so!) and gorgeous Lake Wakatipu. In the last 10 years, Queenstown has become world famous for attracting adrenaline seekers. Queenstown offers everything from zip lining to bungy jumping (where the sport first started), biking, hiking, rafting and much more. End your day with a wine tasting at a local vineyard or with a spa session. New Zealand is world celebrated for Marlborough Sauvignon Blanc and Central Otago Pinot Noir and New Zealand's principal wine growing regions are some of the most beautiful areas of the nation. Spend a day discovering the coast from Hawke's Straight to Marlborough and meet the winemakers themselves along the Classic New Zealand Wine Trail. 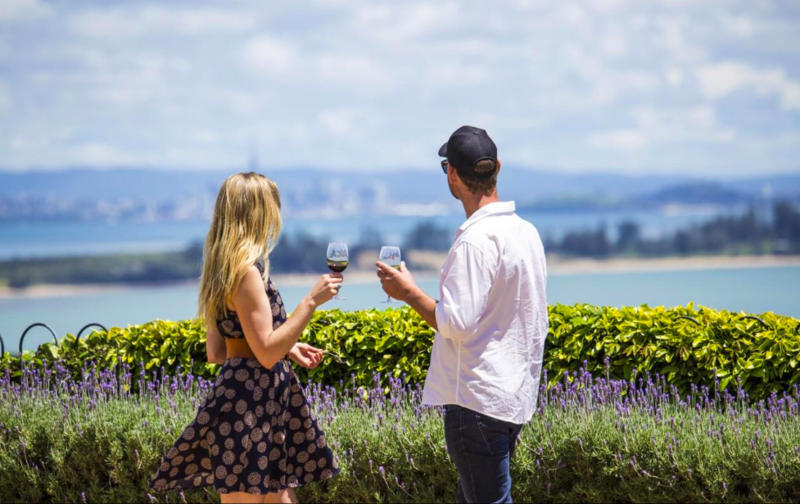 Vineyards extend all through each region of New Zealand so not to worry - there are plenty of opportunities to stop for a wine tasting session. Geysers, mud pools, and immense volcanic craters are in Rotorua, where nature's powers escape by percolating, steaming and murmuring from the inner earth. Enjoy a thermal spa treatment or discover the sights and wonders of this mystical city that sits unequivocally on the Pacific Ring of Fire. Head up north of Auckland to Paihia, a great base to uncover this aquatic playground of 144 delightful islands. Swimming with dolphins, cruising the islands, or unwind on sandy gold beaches, a visit to the historic Waitangi Treaty Grounds is also a must. Wild rivers, rainforests, glaciers, and rough beaches welcome exploration on the staggering, untainted West Coast region on New Zealand. 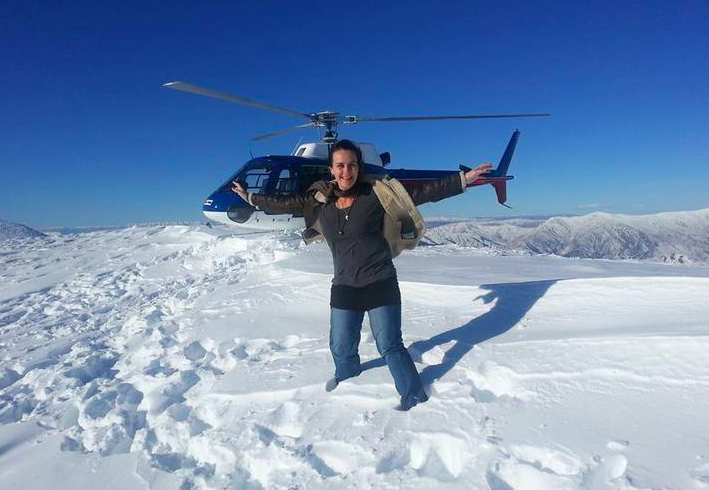 How amazing to take a helicopter to the top of a glacier followed by a guided tour of Franz Josef or Fox Glacier.